Carol is a speaker, teacher, facilitator, writer and storyteller who loves to share from her heart with others on an individual basis or in groups whether small or large. "This is the true story of the incredible journey of Amee - from comatose baby fighting for her life to a young woman running track. May Amee's Story encourage and inspire you to know that medical impossibilities are God's miracles even when they don't look like what we expect." Carol was blessed to have a Christian heritage and came to know Jesus Christ as her personal Saviour at an early age. Yet she struggled, as a young woman, with living fully devoted to God. She found out that there wasn't such a thing as having the "best of both worlds" and decided her life needed to go God's way. Carol and her husband Brian live in Saskatoon and are the parents of four adult children, the youngest of whom has special needs. They are grandparents to twelve grandchildren. As a wife, mother and grandmother Carol,like all other women, experiences the challenges, hectic schedules and demands on her time that are part of that real world of daily routines. Yet through all the ups and downs, the twists and turns of life she has learned that God's amazing grace is always sufficient. Her passion is that we all need to be continuously learning and growing in our walk with God during this journey we call life. She lives out this passion by speaking at women's events and retreats, Bible Camps, as well as school assemblies and church events. Carol shares from her heart by combining real life stories and experiences with the truths from God's Word to teach and encourage others to be all that God wants them to be. Carol offers workshops on communication and the importance of adding story to any presentation. These workshops can be of varying lengths and are interactive. They include tips for impromptu speaking, prepared presentations and she can also offer workshops for English additional language students which adds some information about idiomatic and conversational English as well as interview readiness tips. 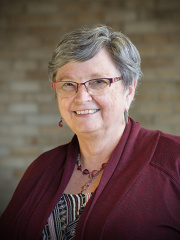 Carol has her bachelor of education from the University of Saskatchewan, attended one year at Millar Bible School, is an active toastmaster with her distinguished toastmaster designation. She is a member of Inscribe Christian Writer's Fellowship. Her first book called Amee's Story was published by Essence Publishing in January of 2010. 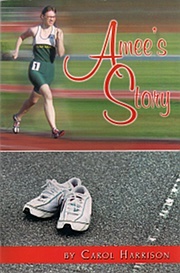 Amee's Story was a finalist in the Canadian Christian Writing Awards June 2011. She has stories published in Chicken Soup for the Soul:Christmas Magic - 2010, Chicken Soup for the Soul: The Gift of Christmas - 2010 and Tales of Christmas - 2010, Chicken Soup for the Soul: Grandmothers - 2011, Chicken Soup for the Soul: O Canada 2011 and Hooked on Hockey - Oct 2012, Think Positive For Kids - October 2013, Best Mom Ever - March 2017. Carol also has a chapter in the anthology Courageous Stories of Inspiration by Insight Publishing published in January 2012, story in award winning Heart of a Toastmaster anthology titled I Never Dreamed. She has a letter style story called Mother's Memories in the award nominated anthology "Mother's Message in a Bottle" published by Nimbus Publishing. Carol enjoys family history, scrapbooking, reading and visiting. Carol attended "Speak up with Confidence" speakers seminar with Carol Kent in Saskatoon in conjunction with Women's Journey of Faith on November 4th and 5th, 2010.